Install into Virtual Box seems to go along OK until the final screen - the restart occurs and a cli message tells me to "Please remove installation media and close tray (if any) then press ENTER"
Regardless of the install being an iso image on the host system or an actual disk the system will not restart, the enter cmd doesn't seem to work. How do I get this VM to restart ?? 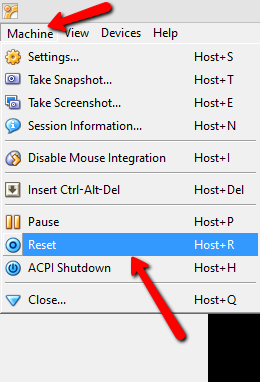 In VirtualBox, click on Machine, and then choose Reset, and that will restart the machine for you. Not the answer you're looking for? Browse other questions tagged 12.04 installation virtualbox or ask your own question.